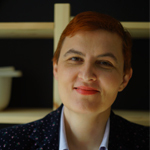 Featured / Recipes / 24.11.2018. Clean the venison of tiny veins, skins and membranes and cube. Heat the oil in a wide dish and fry the meat on all sides. Remove and leave someplace warm. Use the same grease to fry minced onion and garlic, cubed bacon, carrots, parsley and celery root for about 10 minutes. Then return the venison meat, add bay leaves, salt and red ground paprika. Mix, pour with water and continue to stew until the meat is soft. At the end of cooking pour wine and tomato concentrate. Mix the sour cream with a whisk to make it smooth, then add some liquid from the stew to even the temperature of the mix. Pour the cream into the stew and boil briefly. While the meat is stewing, prepare bread dumplings. Cube the bread and fry on melted butter. In a smaller pan fry separately chopped bacon and minced onion. Let cool for a while. Mix the eggs, milk and salt and pour over the fried bread. Add pepper, grated nutmeg, chopped parsley and mix it all slightly. Leave the mix for 15 minutes. Wet your hands and form even balls. Cook in boiling salted water for about 15 minutes. 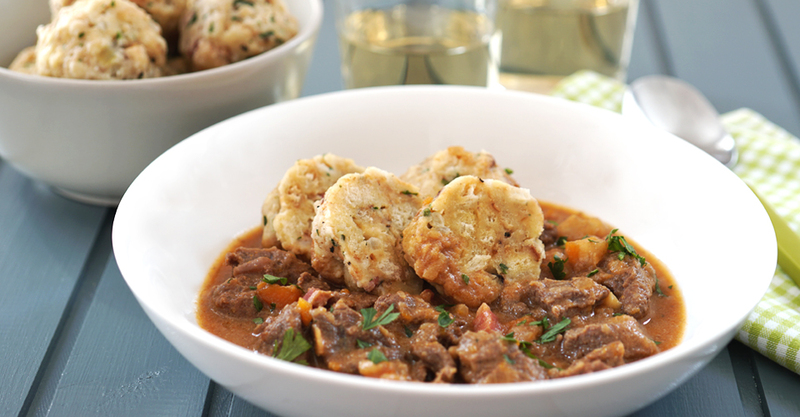 Serve venison stew with bread dumplings.